Attention spans are getting shorter, you need a website that will engage with a potential client within a span of 10 to 20 seconds. Consistent branding, concise wording, and a fast page loading rate on mobile and desktop is the only way to ensure you keep those website visitors. Did you know that 38% of users will stop engaging with a website if the layout is unattractive? Essentially, 38 out of 100 potential customers will leave your site and do business with another company… what is this opportunity costing you right now? 67% of the buyer’s journey is done digitally, and your website is the first contact many people will have with your brand. A good website will improve your sales process and keep you from losing potential clients in the early stages. 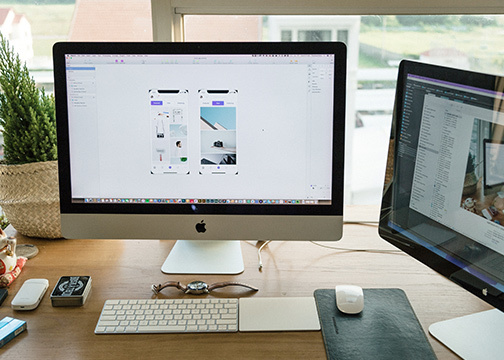 At Elevare we create, design, and manage websites that are beautiful on both mobile and desktop settings and present your brand in a clear way. Google now uses mobile-indexing to rank your website in a search. That means that the mobile version of your website is now what determines your ranking in a Google search. We will provide a website that utilizes mobile-indexing while also providing an equally as attractive desktop website. 1: Work with you on a concept that you will be proud of. We are not in the business of telling you what to do without listening to your actual design needs. We will set up a meeting with you to have an open dialogue about what you want. Our goal is to create a site that will get you the online traffic you want and present your brand as you want it. 2: Build a responsive mobile and desktop friendly site. Creating a website that is user-friendly is a top priority for us. We don’t want any of your clients turning away from your site due to a confusing layout or slowly loading details. With Elevare you can rest assured that your mobile and desktop sites will be responsive and easy to use. 3: Clean, fast, and practical design. The faster your website loads, the better your ranking in search engines will be. 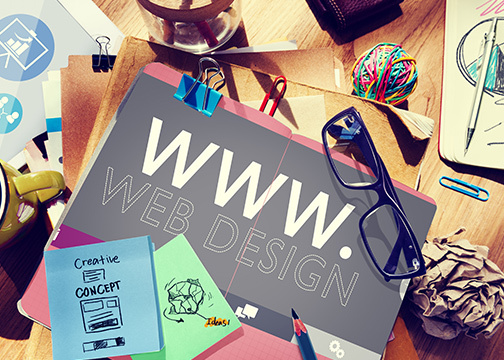 Clean website design helps to keep your brand the focus and not the background. With a clean, efficient site, you are less likely to lose clients over confusion or inability to maneuver the site easily. 4: Keep compatibility a priority. Many tools are used to make sure that your website is equally responsive on every platform. We will test the functionality of your site on the main browsers: Firefox, Safari, Chrome, Internet Explorer, and Edge. The website will also be tested on Windows, Mac, and Linux operating systems. We pride ourselves on our responsive, mobile-friendly websites. A superb website from Elevare will help you stand out in a distracted world. Ready to build a website that will help you bring in sales while you sleep? Fill out the form below for a FREE 30-minute consultation to find out if we are a good fit to help you design your website!